Fukuda Merlin middle school is a public full-time high school located in Futian District, the core hinterland of Shenzhen's central axis. There are 38 classes and more than 1,900 students. Meilin Middle School adheres to the teaching philosophy of “American Education, Multiple Choices”, and educates students according to their abilities, providing students with a personalized and diversified approach to development. In recent years, a large number of students have been admitted to Tsinghua University, Renmin University of China and other well-known schools have achieved excellent results, while other students have entered the international advanced schools, many students have embarked on the Avenue of Stars. From 2002 to 2017, he was awarded the “Advanced Unit of Shenzhen College Entrance Examination” for 16 consecutive years. 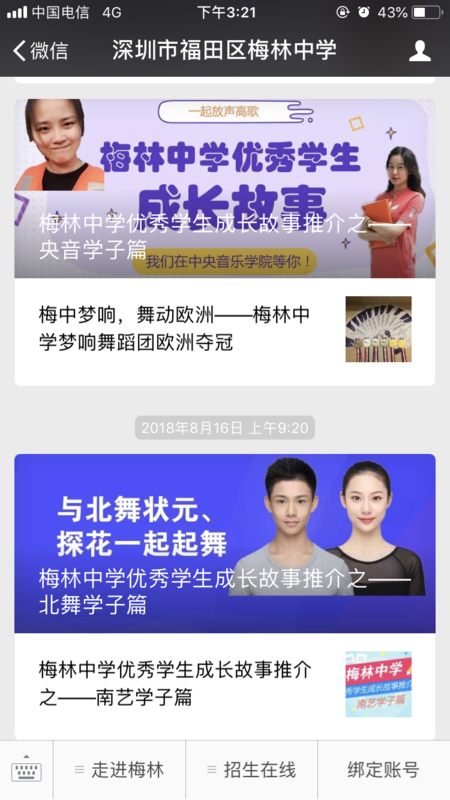 In order to better promote the teaching philosophy, disseminate the latest information of the school, link the school with the teachers, the information between the teachers and students, and the interaction between the school and the parents, Meilin Middle School created the WeChat public number. However, because each teacher has the responsibility to train the growth of students, the energy of operating the WeChat public account is really small; the new media industry is developing rapidly, and the means of management need to keep pace with the times. Therefore, we are looking for a third-party professional operations team that operates on our behalf. 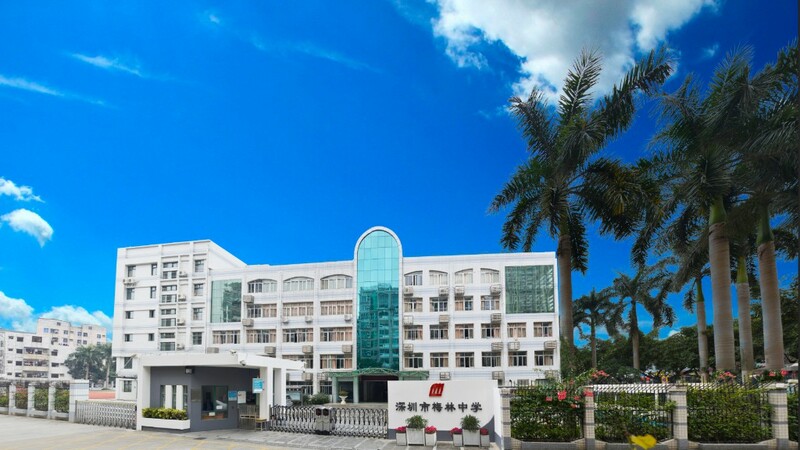 Ensure the timely dissemination of school information, attract domestic and foreign teachers, students and parents to pay attention to the latest development of Meilin Middle School and promote the positive development of the school. 3. Respond to the content of the article in a timely manner, such as "artwork layout", "image processing" and other personalized services. 1. The number of WeChat public is rising: almost comprehensive coverage of teachers, students and parents of the school. 2. After the operation is completed, the WeChat graphics are drawn through the micro-interactive operation team, the average opening rate is less than 5%, and the opening rate is increased to 33%. 3. Help teachers reduce the monthly working hours of nearly 140 hours, reduce the burden of school teachers' WeChat public account operation, teachers can spend more time to guide students in vocational education and education. Through the promotion of images, videos and other content, Meilin Middle School has won unanimous praise and praise from teachers and students.